Xbox One, successor to the Xbox 360 and the third console in the Xbox family, was released on November 22, 2013. It integrates video games, the Internet, cable box and video playback in one. The Xbox One is easy to use and integrates all the services, playing games, watching videos, surfing the internet and etc into one place, in a way that no other device does. It seems more like a home entertainment system than a video game condole. Speaking of playing videos on Xbox One which was released by Microsoft, many users may take for granted that AVI, also released by by Microsoft, and Xbox will be perfect partners. But is this really the case? Can you play AVI files on Xbox One? I am afraid it's hard to tell as AVI is not in the compatible video formats list for the predecessor Xbox consoles. As a matter of fact, though is it officially claimed that Xbox One supports AVI, only a part of AVI, unfortunately, is supported due to different codes. For example, AVI in divx/xvid can be played on Xbox while problems occur when playing AVI in other code like XVID ffdshow, VP-6 and etc. To ensure smooth playback of AVI files on Xbox One regardless of any limits, it is high recommended to convert AVI to Xbox One. 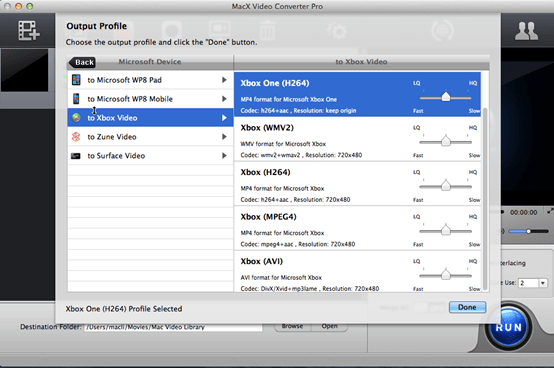 There is a simple tool with which you can do AVI to Xbox One converting without the need to know any code knowledge: MacX Video Converter Pro. This AVI to Xbox One converter helps users to convert AVI to any Xbox One supported video formats, be it H264, MPEG4, AVI (divx/xvid) or WMV2, enabling them to play AVI on Xbox clan, including Xbox One, Xbox and Xbox 360. Note: For those who want to watch videos in other formats, such as MKV, TS, MOV, FLV, MP4 and etc on mobile devices besides Xbox like iPhone, iPad, Android, Samsung, WP8, PS4 and etc, eg. 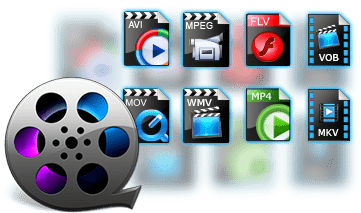 AVI to Samsung Galaxy 4, MKV to iPhone 6, MKV to PS4 and etc, this video converter, built in 320+ video and 50+ audio codecs, will help you do this job with 32X faster speed and no quality loss. After Free download this AVI to Xbox One converter on Mac and run it, click "Add File" to load the AVI file you want to convert. Select a Xbox One complitable format from the right categroy, such as H264, WMV2, MPEG4. Besides, you can adjust the output video parameters with the advanced settings to better fit your Xbox One. Click the "RUN" button to start converting AVI to Xbox One on your Mac. This AVI to Xbox One converter will automatically helps you finish conversion, and you could view the conversion progress and are able to cancel the converting process at anytime. The whole conversion is 32X faster while reserving the original quality. 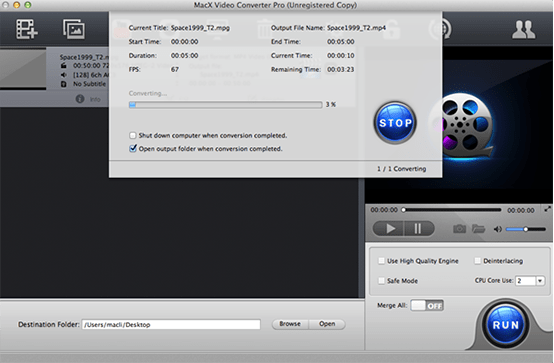 Note: MacX Video Converter Pro can do far more than converting AVI to Xbox One. As a video converter, it does an excellent job in converting not only AVI to Xbox, but also various other video formats like MKV, M2TS, MTS, TS, AVCHD, MP4, MOV, FLV, WMV and etc to various other mobile devices, including iPhone, iPad, Android, Samsung, WP8 and so on. Nevertheless, it does more. The most significant feature besides video converter lies in its strong ability to download YouTube videos with which you can download any hot movies, music videos and funny videos.